Newest tornado watch includes the Metroplex. 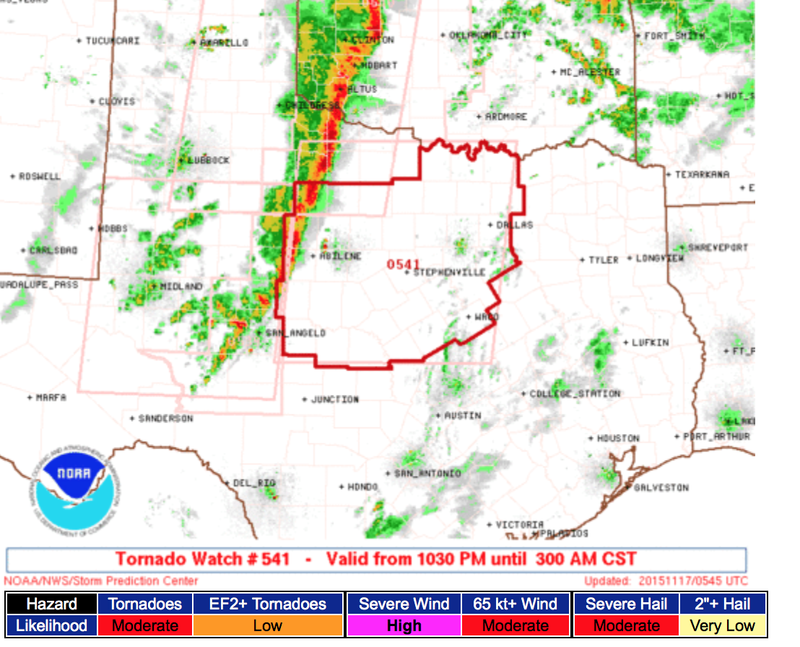 The existing tornado watch has been trimmed on its western side. You can click to enlarge any of the graphics. As I see it, the primary threat during the night as this line of storms approaches the counties containing I-35 is damaging winds. 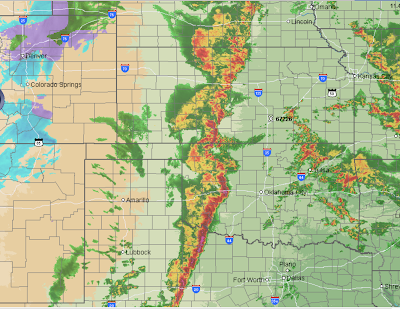 However, there is still a chance of a brief tornado or two with the squall line. If you scroll down, you'll see I've been updating since around 8am. I going to stop now and hand you over to your local broadcasters. Good luck and stay safe! !